‌Dissertation: "Bad Women and the Politics of Recognition in Post 9/11 US Literature"
Samina Gul Ali (email) is a PhD candidate in English. This academic year (2018-19) she is the Marilyn Yarbrough Dissertation/Teaching Fellow in Women's and Gender Studies at Kenyon College. 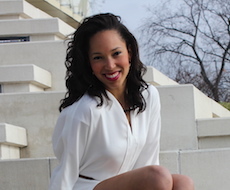 She previously served as the managing editor for Anthurium: A Caribbean Studies Journal. Laura Bass (email) is a second-year PhD student who comes from London. She is currently the graduate research assistant for Anthurium: A Caribbean Studies Journal.‌ In 2018, she presented at two conferences in London - one at QMUL and one at the Literary London Society. She helped to organize and presented at the West Indian Literature conference at the University of Miami in October 2018. In 2019, she will present work at MELUS and the International Auto/Biography Association of the Americas in Kingston, Jamaica. 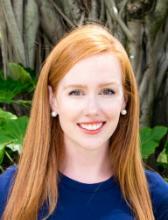 Erica Christmas (email) is a first-year graduate student in the English PhD program. Dissertation: "Life, Liberty, and the Pursuit of Theater: Women Dramatists and the Early Republican Stage, 1795-1815"
Diana I. Dabek (email) is a PhD candidate in English. Her dissertation project examines how Americans used print and performance drama to establish a national identity throughout the eighteenth and early nineteenth centuries. Tiffany L. Fajardo (email) is a PhD candidate in English. She previously the Managing Editor of the James Joyce Literary Supplement. Her work on Joyce was awarded the Mary K. Parker prize and has appeared in the New Hibernia Review. 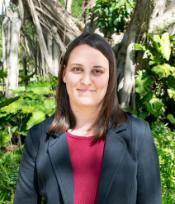 She previously served as Social History Researcher for Vizcaya Museum and Gardens. 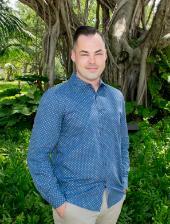 Jared Flurry (email) is a fourth-year PhD student and active-duty Army officer. He came to the University of Miami in order to study Caribbean Literature and currently teaches literature and composition at the United States Military Academy. He is particularly interested in European representations of West Indian soldiers in the First World War. and America’s New Urban Crisis"
Marta Gierczyk (email) is a PhD candidate in English. She previously received of the graduate teaching fellowship in the American Studies Program. Ashley Hemm (email) is a second-year PhD student. 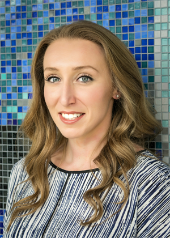 She is a HASTAC Scholar (2018-20), WhatEvery1Says Research Assistant (2019), and a UGrow Fellow (2018-19) at History Miami. She previously served as Instructor of English and Coordinator Associate of English for two years at the University of New Orleans. Lesley Kamphaus (email) is a PhD candidate in English. Her dissertation focuses on narratives of monstrous birth in sixteenth- and seventeenth-century drama, poetry, and pamphlets. Dissertation: "Queer Narratives of Shame in Global Anglophone Literature"
Alex Ledgerwood (email) is a PhD candidate in English. He is currently a full-time faculty member in the English and Communications Department at Pensacola State College. Paige Miller (email) is a Ph.D. candidate in English. She is the Assistant Editor at the James Joyce Literary Supplement. In summer 2017, she participated in Harvard's Institute for World Literature in Copenhagen, Denmark. Benjamin Moats (email) is a third-year PhD student. Originally from Nebraska, he previously worked at UMKC as a lecturer. Julia Mollenthiel (email) is a third-year English PhD student. 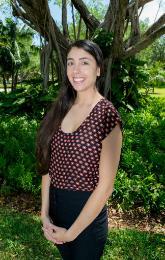 After her undergraduate career, Julia served three years with Teach for America teaching English in North Miami. ‌Fields: Contemporary US Multi-Ethnic literature, with specific interest in feminism, masculinity, and body studies. Set-Byul Moon (email) is a second-year English PhD student. Born in South Korea, she worked as a lecturer at Pittsburg State University, KS, and at Ewha Womans University. 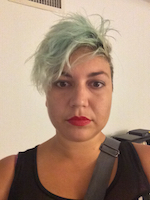 Alexandria Morgan (email) is a third-year English PhD student, interested in feminist issues such as gender and sexuality, specifically in Early Modern women's writing. 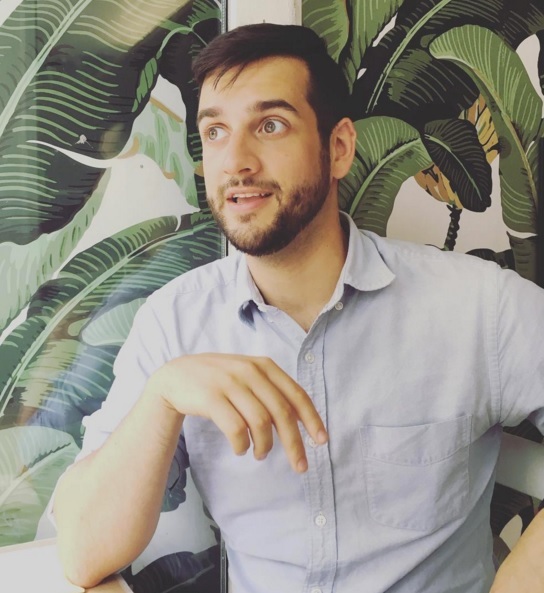 Dissertation: "Writing Transgender across Genre: Speculative Fiction, Peronal Narrative, and Poetry"
Gil Mozer (email) is a PhD candidate in English. They have an essay, "Popular vs Personal: Transgender Representation in Public Media Culture," forthcoming in Beyond Binaries: Trans Identities in Contemporary Culture (spring 2019). They are also currently a Center for the Humanities Dissertation Fellow. 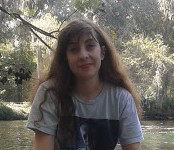 Carmen Petaccio (email) is a second-year PhD student. 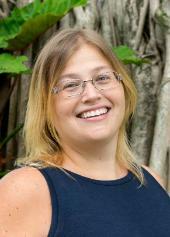 Mariana C. Petersen (email) is a first-year student in the PhD program. Prior to coming to UM, she worked as a full-time instructor of Portuguese and English and coordinator of an ESL program at Federal Institute of Education of Rio Grande do Sul. Her awards include an academic distinction (Federal University of Rio Grande do Sul, 2015) and an MA fellowship (Coordination for the Improvement of Higher Education Personnel, 2015-2017). She has published in the journals Estação Literária, Letrônica, and Anuário de Literatura. She has presented papers at the VII Seminário Internacional Mulher e Literatura (2015), at the 11th Annual Conference of the Association of Adaptation Studies (2016), and at the VII Congresso Internacional de Estudos sobre a Diversidade Sexual e de Gênero (2016). 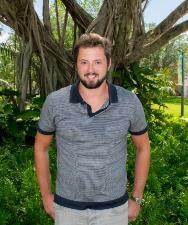 Nicholas Reich (email) is a first-year student in the PhD program. He published "Queering the Air: Increasing LGBTQ+ Inclusivity in the Writing Center" in The Peer Review, special edition on "Writing Centers and Relationality: Constellating Stories" (2018). Previously, he worked as a tutor and instructor (writing and literature) for three years at the University of Alabama at Birmingham where he served as the Assistant Director of the University Writing Center. He won the Lavender Inclusive Research & Initiative Award in 2017 and received a University of Miami Fellowship in 2018. He has presented his work at IWCA and SAMLA, and he will present at MELUS in 2019. 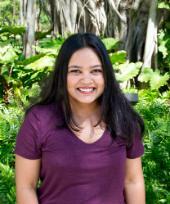 Tarika Sankar (email) is a third-year PhD student. 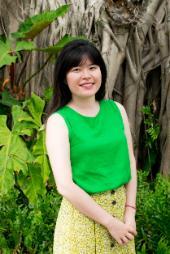 She is a University of Miami and Holmes fellow and a graduate research assistant at the What Every1 Says Project. 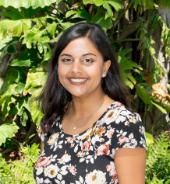 She presented her paper, "Pumpkin-Vine Family": Finding Jahaji-Bhain Sisterhood in Exile in Ingrid Persaud’s If I Never Went Home" on a panel about Indo-Caribbean histories and identities at the 37th Annual West Indian Literature Conference. 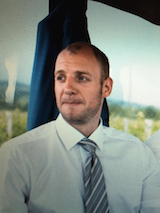 Danny Scherwatzky (email) is a second-year PhD student in English. Anne Schmalstig (email) is a PhD candidate in English. She served as the editorial assistant for Early Modern Women: An Interdisciplinary Journal. Her dissertation focuses on the use of the sublime and other Gothic tropes in contemporary climate fiction novels. Narrative Form, and the End of History"
Bryant Scott (email) is a PhD candidate in English. He has recently studied Arabic at the University of Haifa and completed Harvard’s Institute for World Literature 2016 program. He has recently presented at the Caribbean Studies Association Conference, the American Literature Association Symposium, and the Annual British Commonwealth and Postcolonial Studies Conference. He has a forthcoming essay in the collection Through the Looking-Glass: Literatures Uniting Regions and Nations. Sydney Shamblin (email) is a first-year PhD student in English. Preston Taylor Stone (email) is a first-year PhD student. He serves as the Chief Editor of KAIROS Literary Magazine and Flash Fiction Editor of Crack the Spine Literary Magazine. 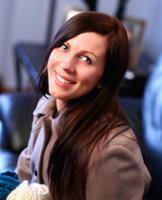 Kerri-Leanne Taylor (email) is a third-year PhD student. Originally from Stockport, England, she served as the UGrow Fellow in Curriculum and Communications. 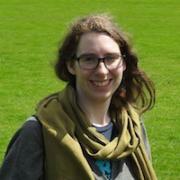 Ruth Trego (email) is a fourth-year student in the English PhD program. She worked as a high school/middle school English teacher for 3 years before coming to UM. Qualifying Exam Committee: John Funchion (chair), Lindsay Thomas, and Tim Watson. 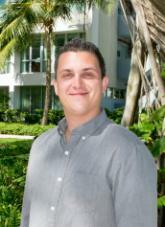 Miguel Antony Vasquez (email) is a first-year student in the PhD program. Oliver Wallis (email) is a PhD candidate in English. Barry Williams (email) is a second-year PhD student. He lectured in English at the University of The Bahamas before attending the University of Miami.